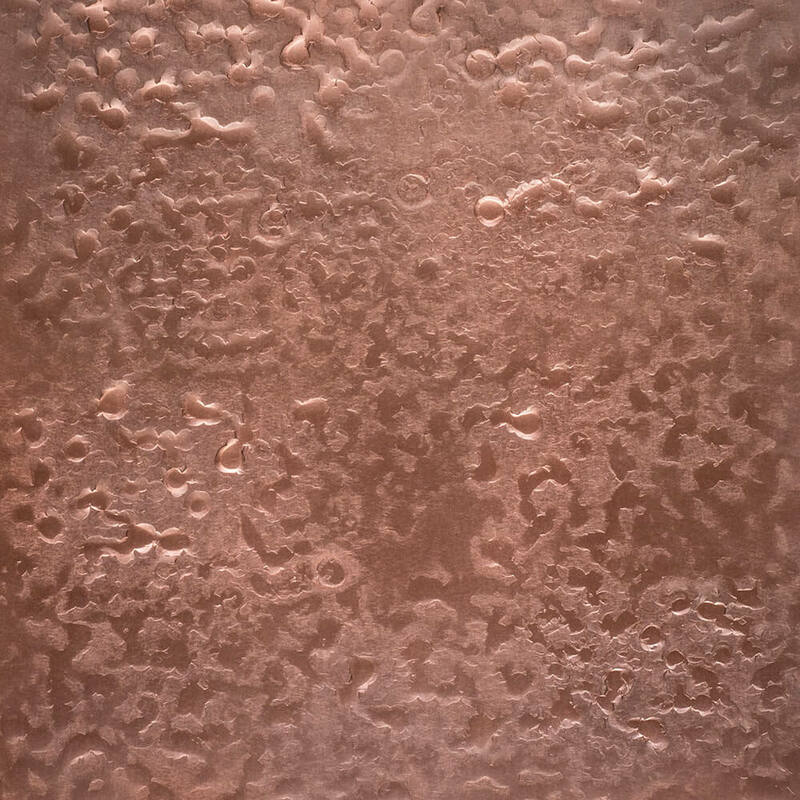 Copper range hoods (i.e. stove hoods) are becoming more popular within the kitchen and can make a very stylish statement. 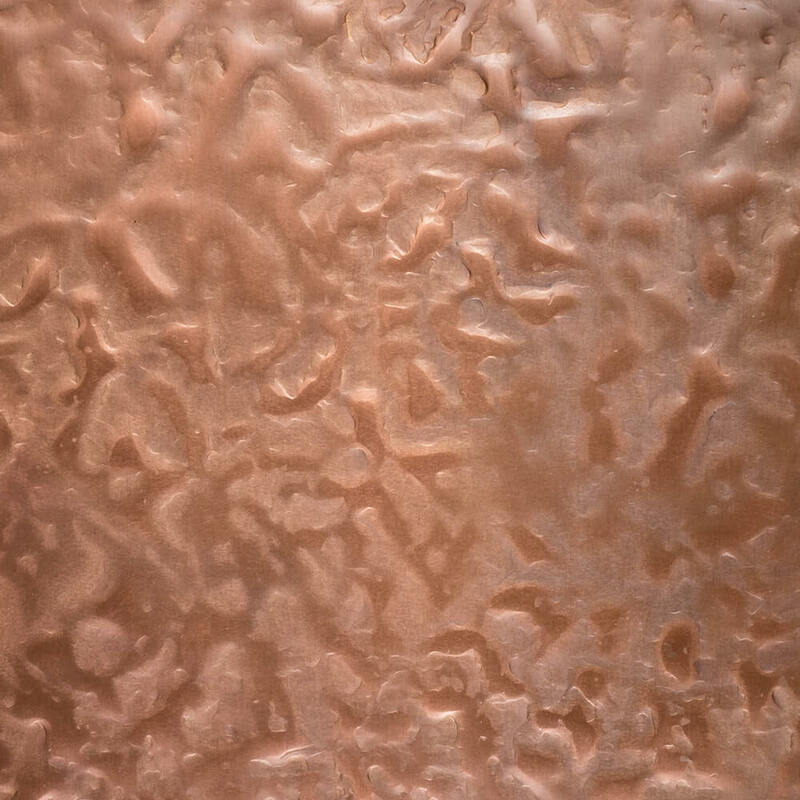 Copper is attractive and easily molded to your own requirements, according to the style, design and shape of your kitchen. For the serious cook there's no better choice than Circle City Copperworks. Cooking under our custom kitchen range hood will enhance your culinary experience. The custom aesthetic beauty combined with simple operation and easy maintenance will add so much value to your home life. Our range hoods are truly a functional work of design art. In today's kitchens, they effectively do what they are designed to do, to remove all unwanted cooking smoke, heat and vapors quickly and quietly. 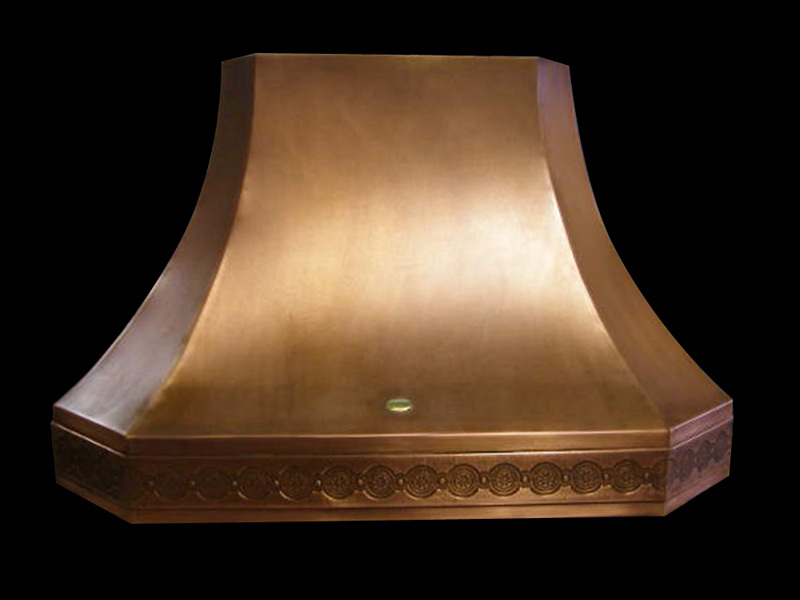 All Circle City Copperworks copper range hoods are custom and handcrafted in Indiana, USA. We can accommodate any size you may need. All of our range hoods are made from 48 oz. 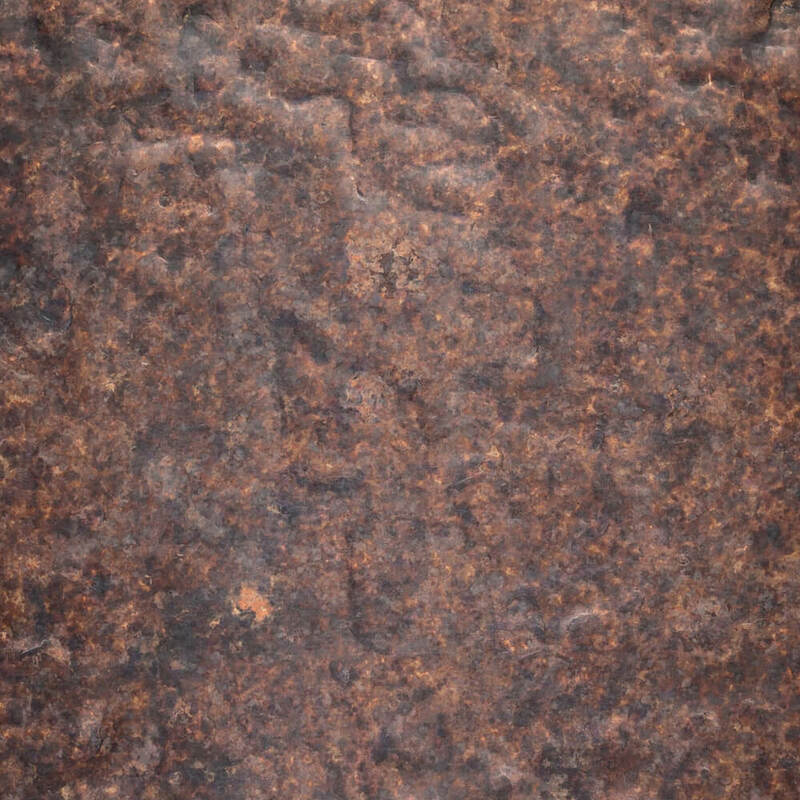 pure American copper (.0647 or 14 gauge). 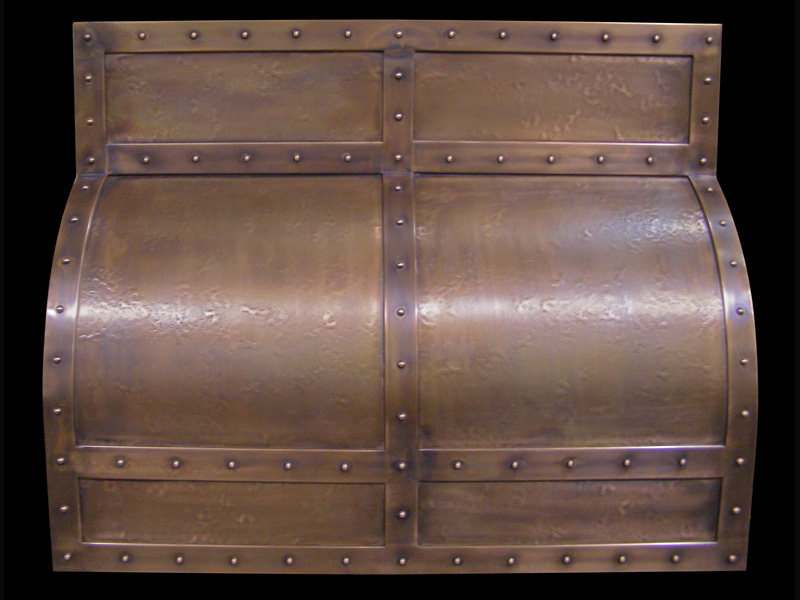 Each comes with a choice of copper patina finish, hammered or smooth copper as well as the options of straps, rivets, trim & of course a quality blower unit to fit your needs of venting. Come choose from a full line of many beautiful designed kitchen models or you create the design details and we’ll make your range happen for your kitchen on time and within your budget. 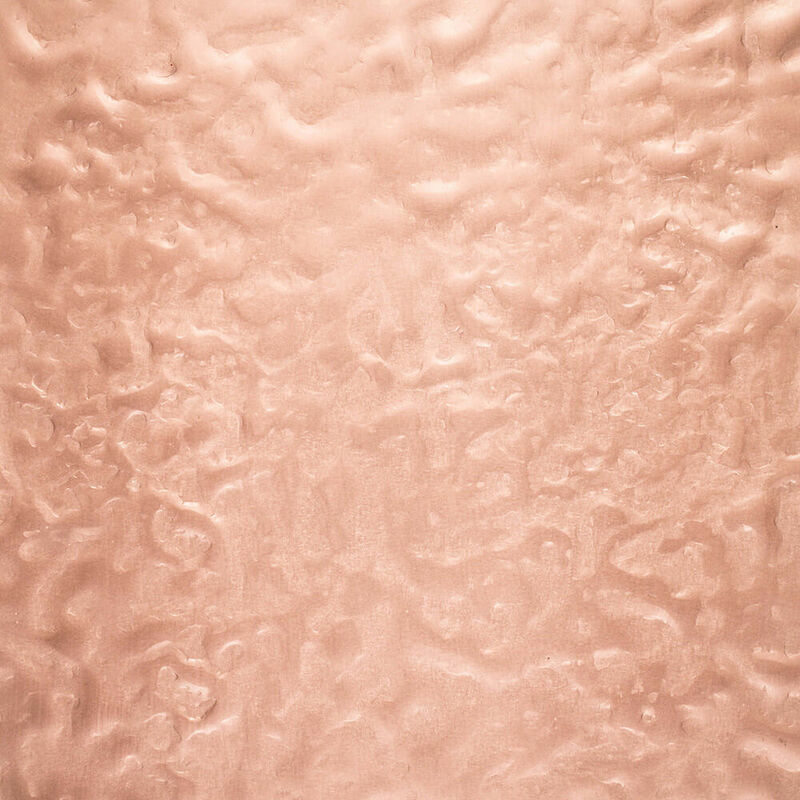 A copper range hood is a very stylish addition to your kitchen, but it is also an important piece of safety equipment and remember that cheapest is not always the best. 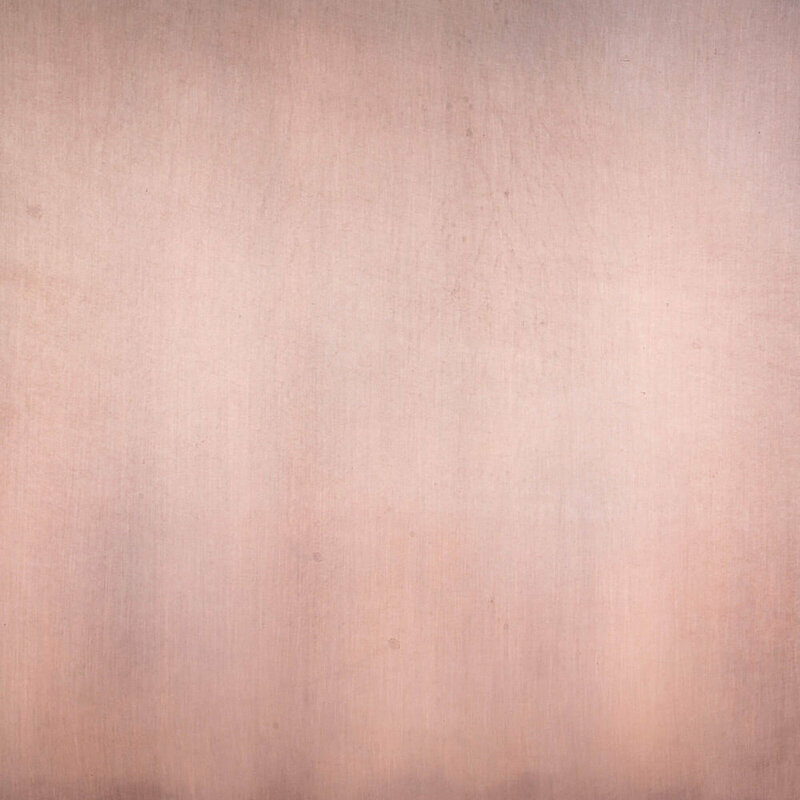 Circle City Copperworks will add a classic look to your kitchen after installing our custom made copper ranges. Below, as you can see from our portfolio, each range / stove hood is custom made by the finest standards. 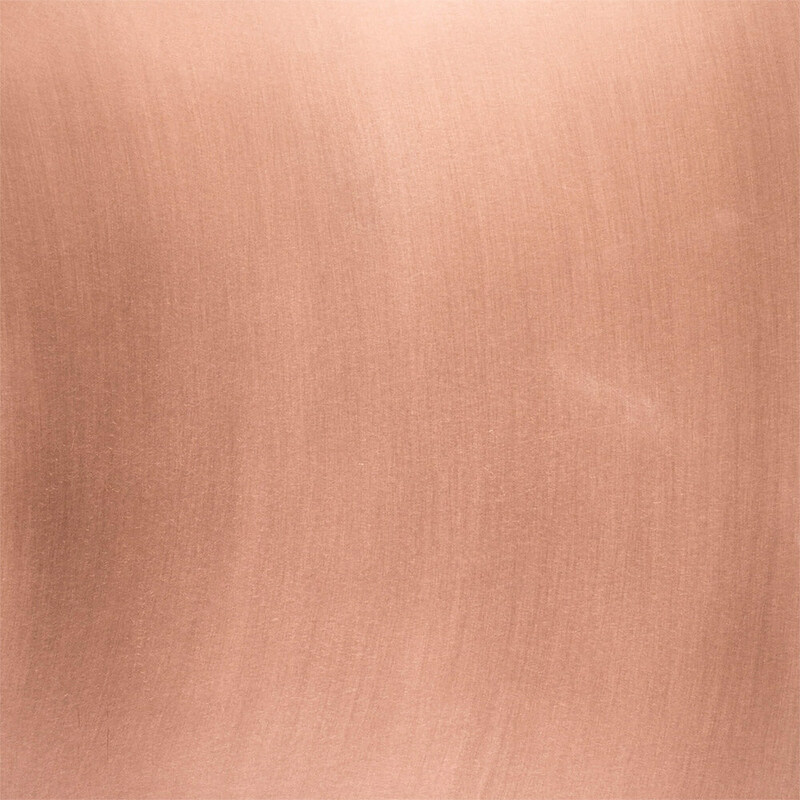 More home owners realize that copper range hoods are both beautiful and functional in any kitchen. 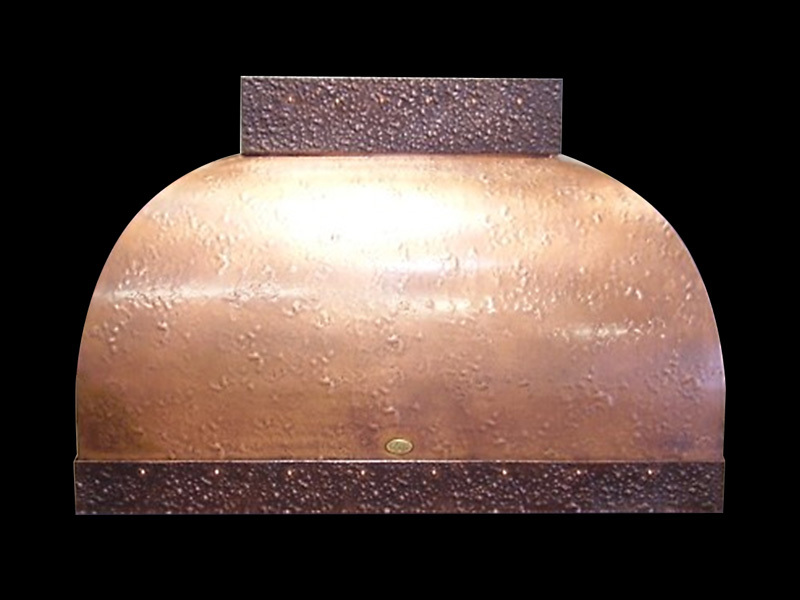 Copper hoods add class to any gourmet kitchen when you select from our custom and pre-designed copper vent hoods. Clavos add an additional option to finish off your Range Hood. 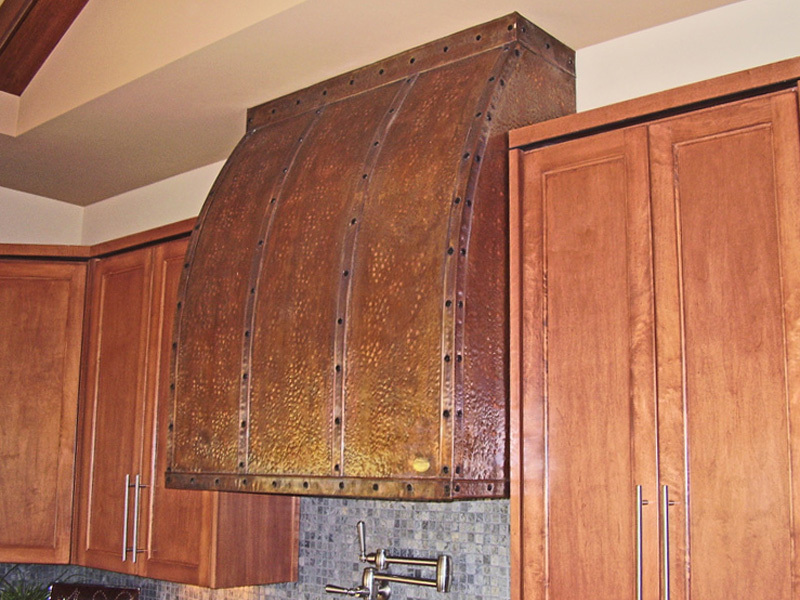 This copper range hood was fabricated for Thomas J. Pearson a custom builder and designer here in Indianapolis for his clients' kitchen remodel. 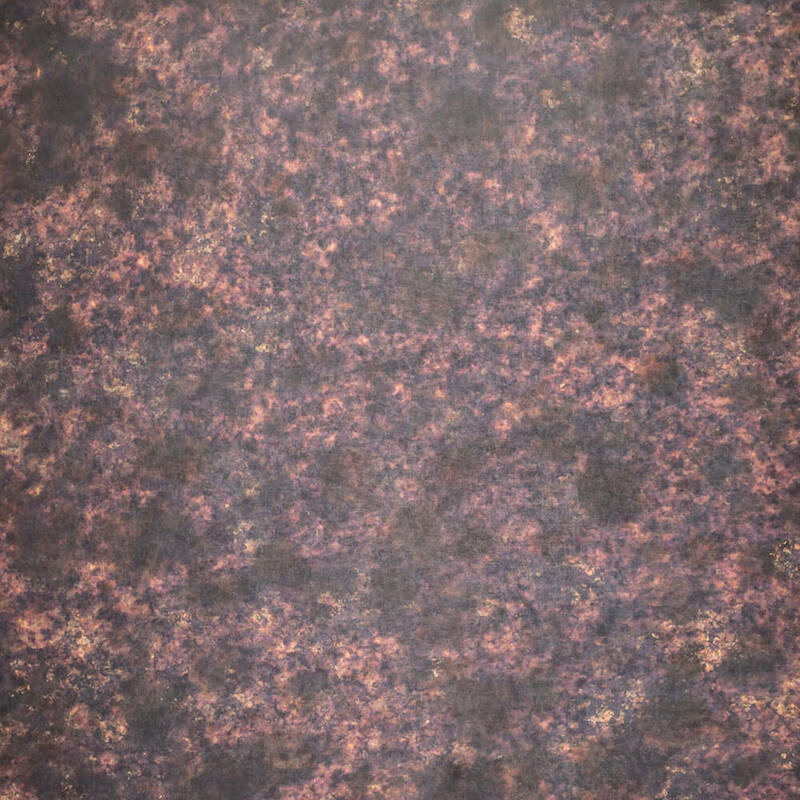 It is 48” wide, 24” deep to the copper pot rail, and it is 42” tall. 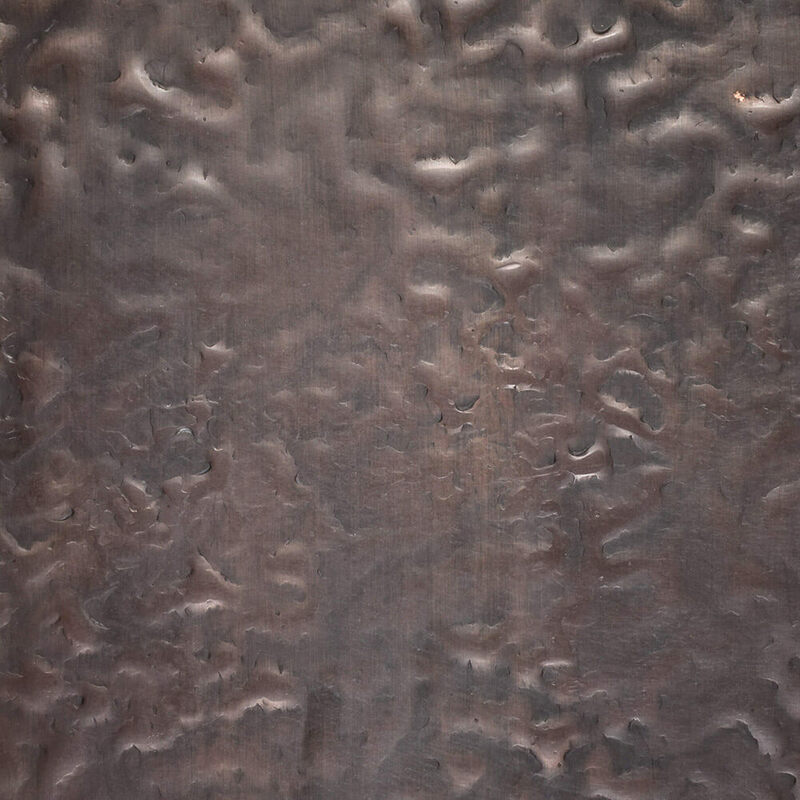 It is a Medium Brown patina on hammered 48 oz. pure American copper. You will see from the next pictures how we can take the same basic shape and change it up. Please call us for custom designs and quotes. This range hood was designed for a local client here in Indiana. It is 56” wide from rail to rail; 24” deep and 24” tall. 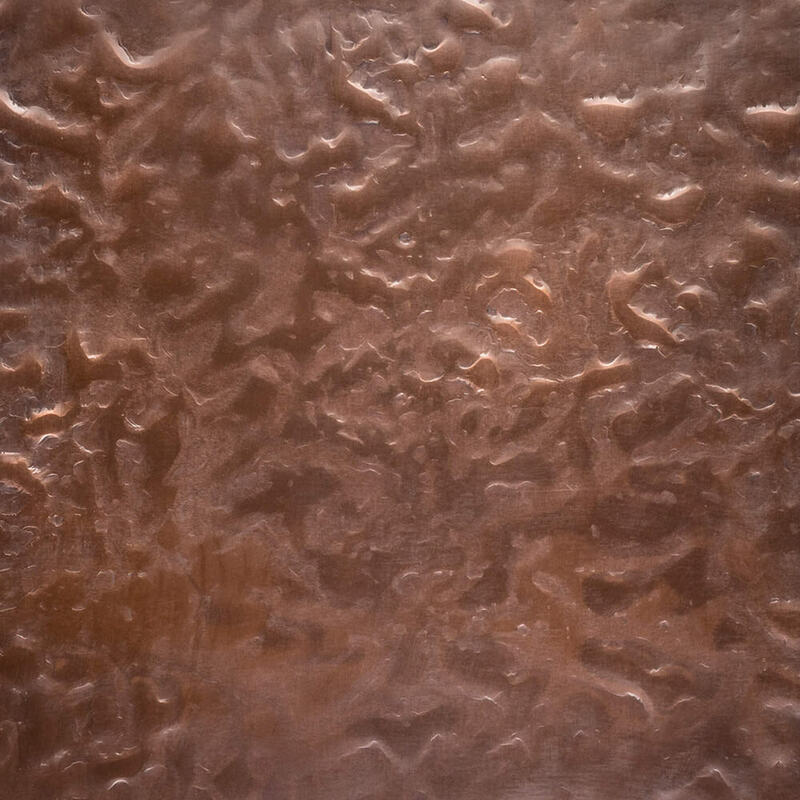 It is smooth copper with a Medium Brown patina. It was fabricated with 48oz. pure American copper. No lead or arsenic content is contained, like you will find in unregulated foreign copper products. 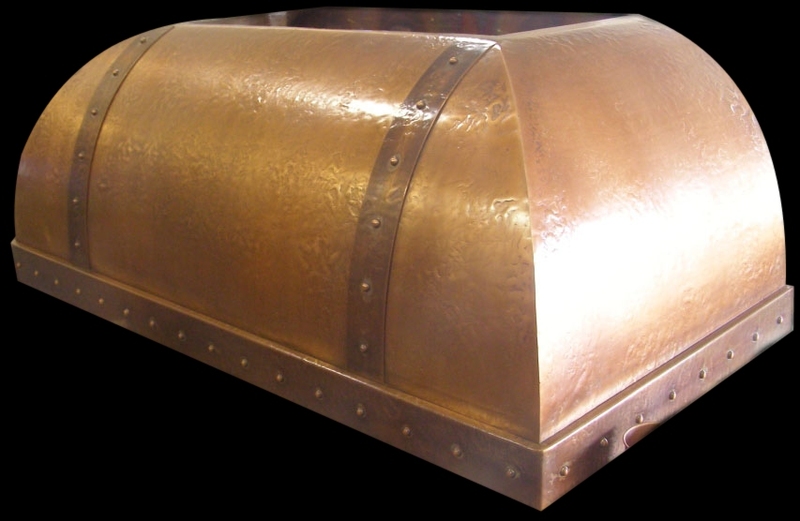 The rail is made of copper and the bottom trim is made from brass. Please call for custom quotes. 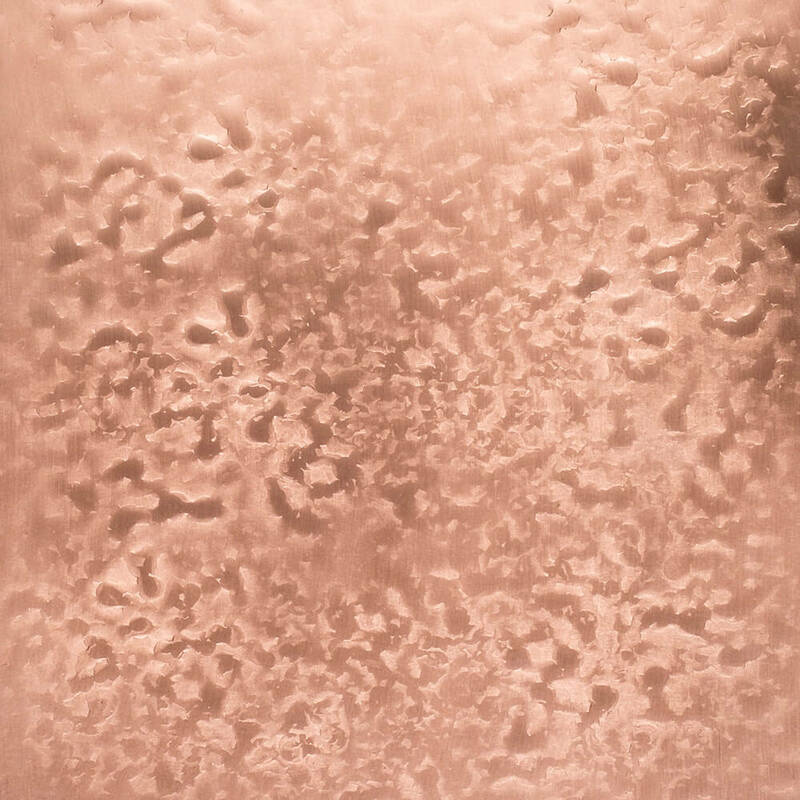 This picture shows you another way you can change the look of a custom copper range hood with the different trims that we can fabricate from copper. 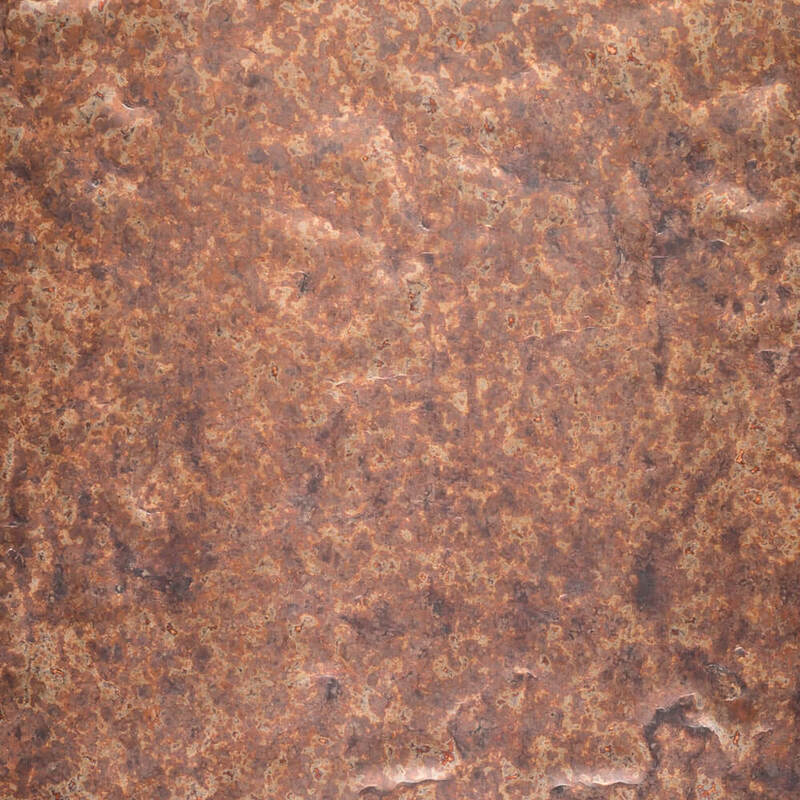 This is pictured in a medieval hammer with a two-tone light and medium brown patina. Most straps and trim are smooth, but this client wanted a bolder look with the straps and trim being hammered also. 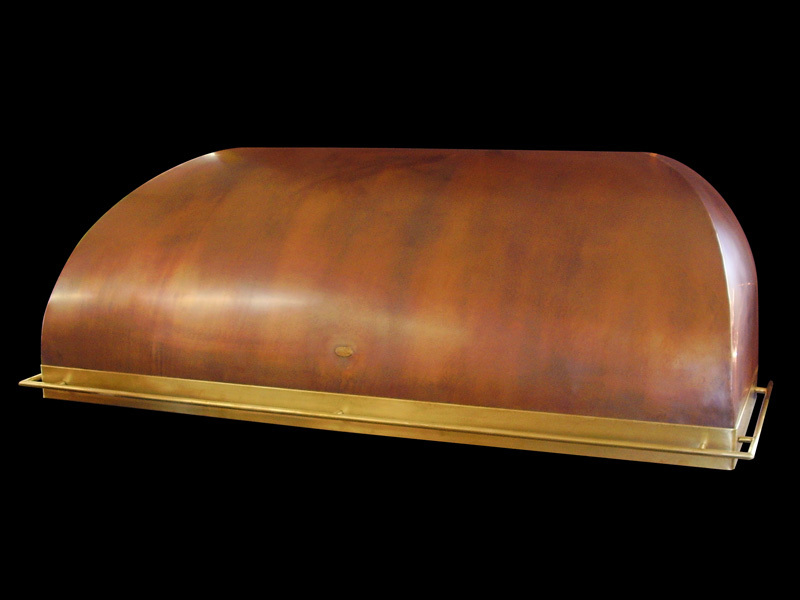 This copper range hood was created for a client in Illinois. It is 42” wide, 22” deep and 36” tall. The straps are fastened with small solid copper rivets. 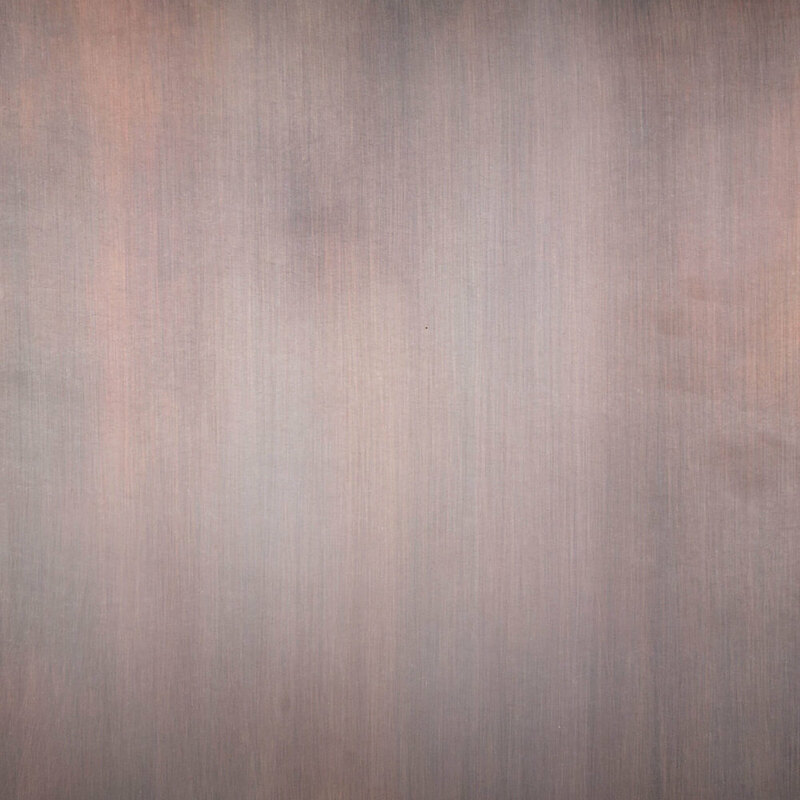 This range hoodhas a smooth finish and has two patinas. The main body is a Light Brown patina and the straps are done in Medium Brown to help them stand out. This range is all handmade with 48 oz. pure American copper. Please call or email for custom quotes. 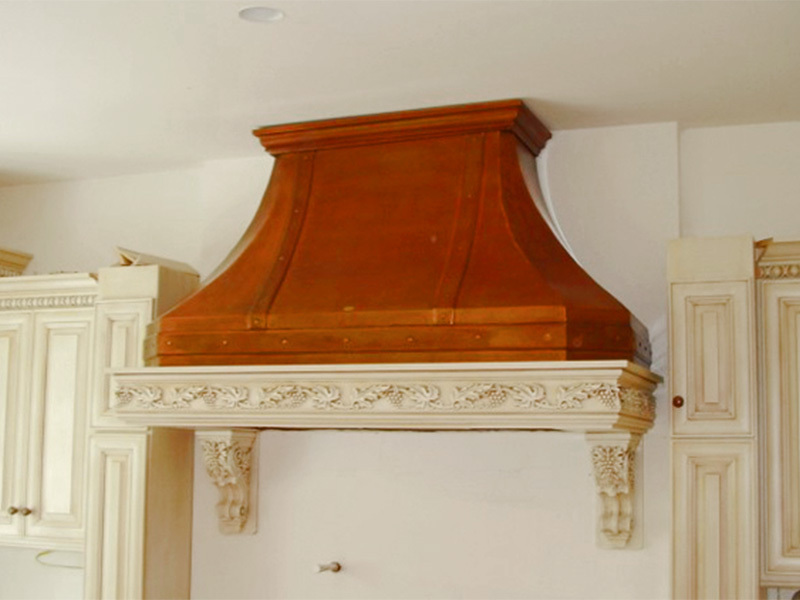 This range hood is really out of the ordinary. Our client really wanted the trim to be more of a focus point. We dialed up the hammer on the trim then backed it off for the main body. It is made out of 48 oz. pure American copper. 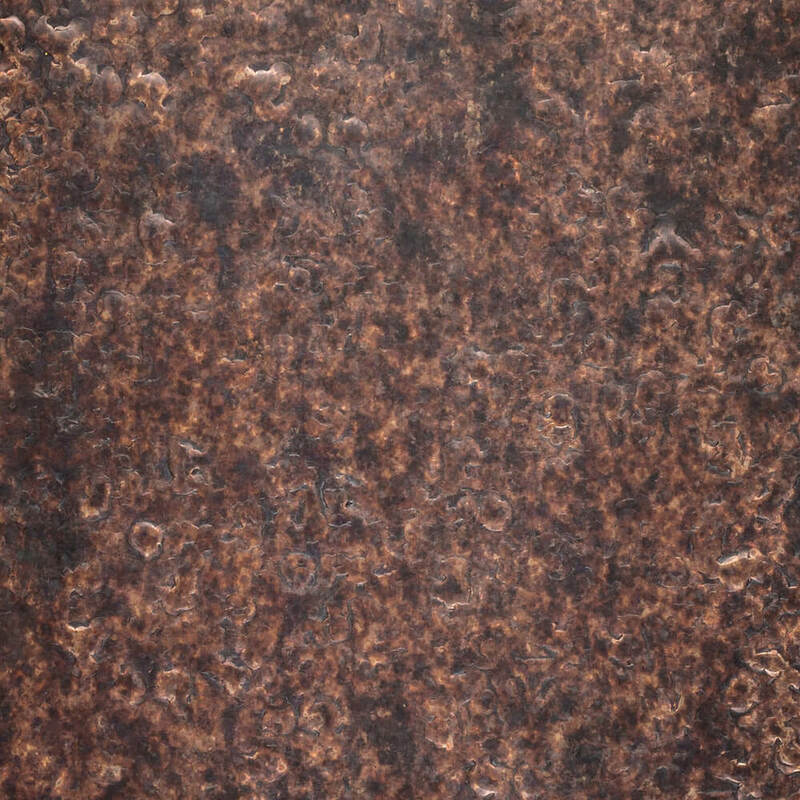 It is pictured in a Dark Brown patina on the trim and Medium Brown on the main body. Please call or email for custom quotes or ideas. This hood is based on the picture above. This shows how you can vary our hoods, changing the whole look and feel of them. The range hood in this picture is 38” tall, 42” wide and 20” deep. 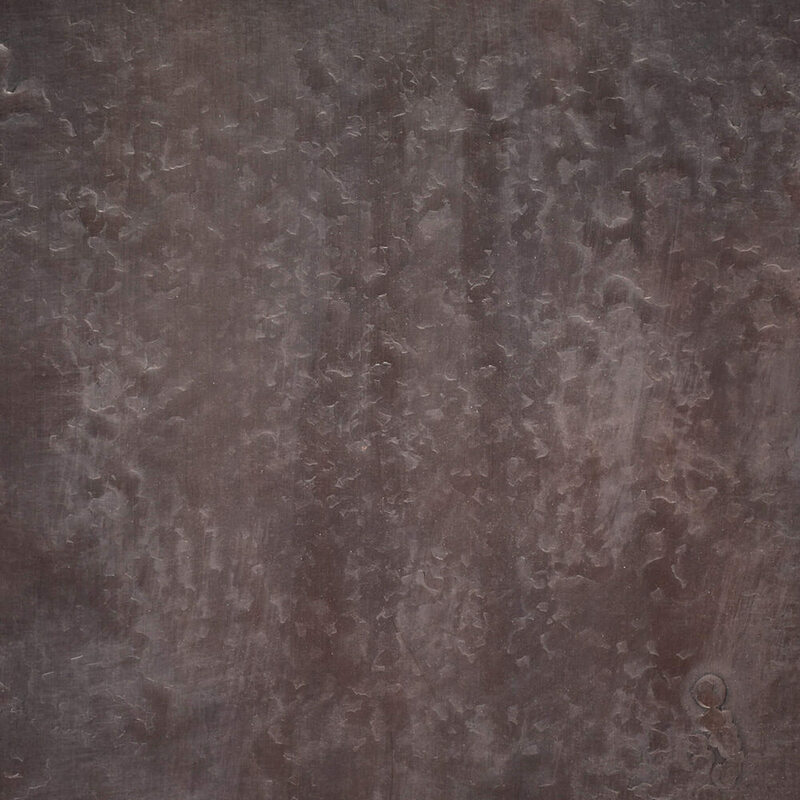 It is pictured in a Hammered Medium Brown patina. We can do this with lighter or darker straps. 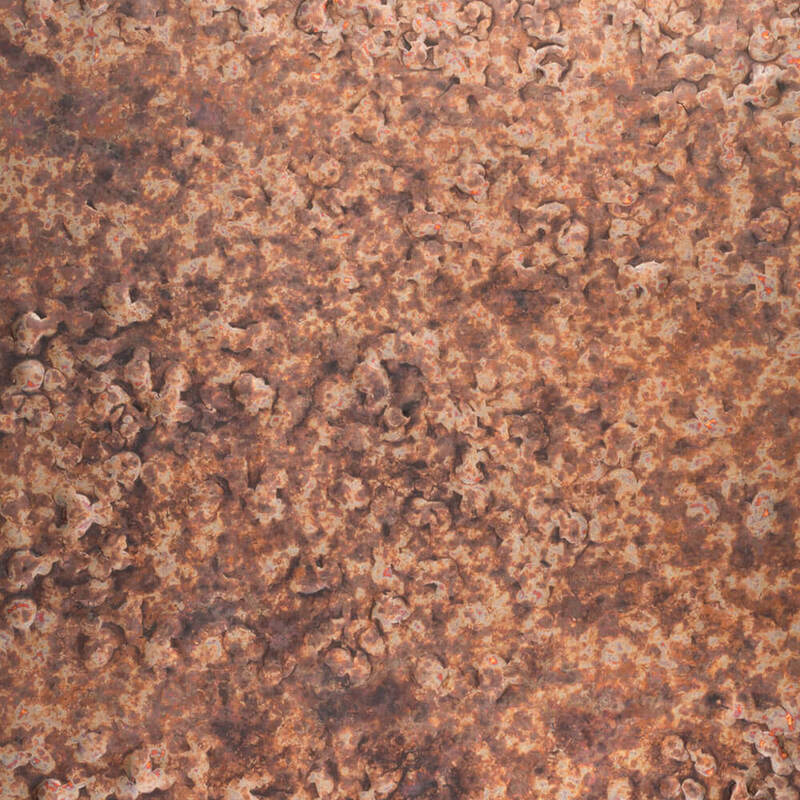 Remember we do not charge for patina. 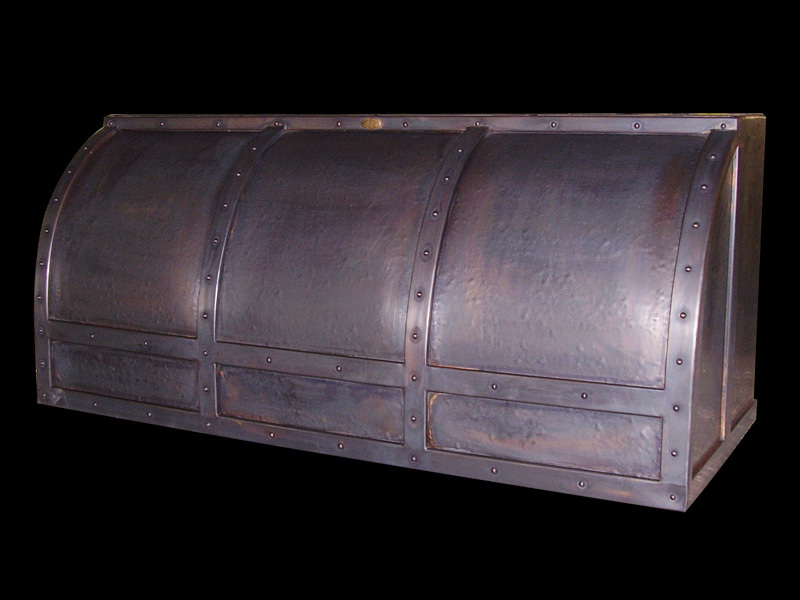 Please contact us with any questions or to obtain a quote for custom fabrication. We made this hammered hood in a Medium Brown patina; it was made out of 48oz. pure American copper. The solid copper rivets on the straps have a patina applied by us also. We can do this with lighter or darker straps. Remember we do not charge for patina. No lead, tin, or arsenic content is contained, like you will find in unregulated foreign copper products. Please contact us to obtain a quote. 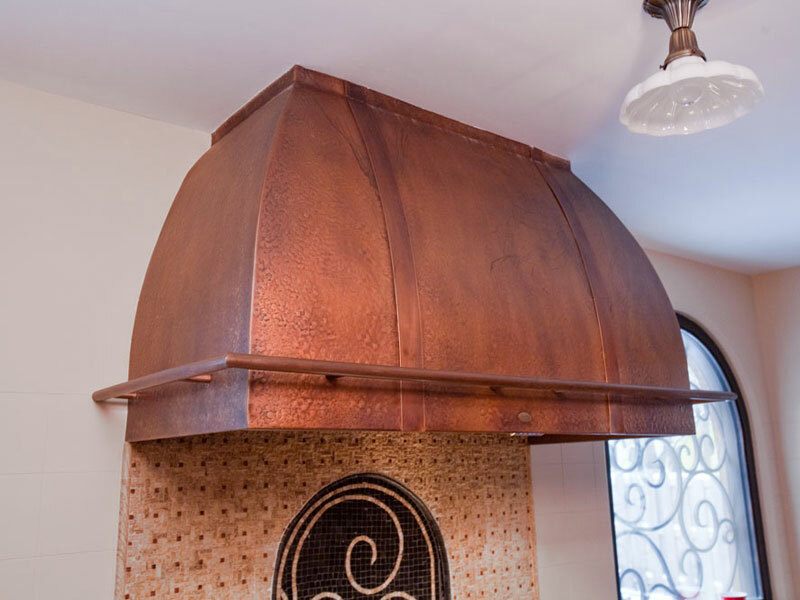 This copper hood was fabricated for a client in Illinois. It is made with 48 oz. pure American copper. It is hammered with smooth straps and done in a Light Brown patina. It is 40” wide, 22” deep and 38” tall. You can’t see it in the picture but it goes straight back to the wall after the 45 degree angles. Please call 317-284-0687 or email for custom quotes or ideas. This is the same shape as above, but was made with a custom pressed trim that we also can do. It is 24” tall, 20” front to back and is 42” wide. It was made out of 48 oz. 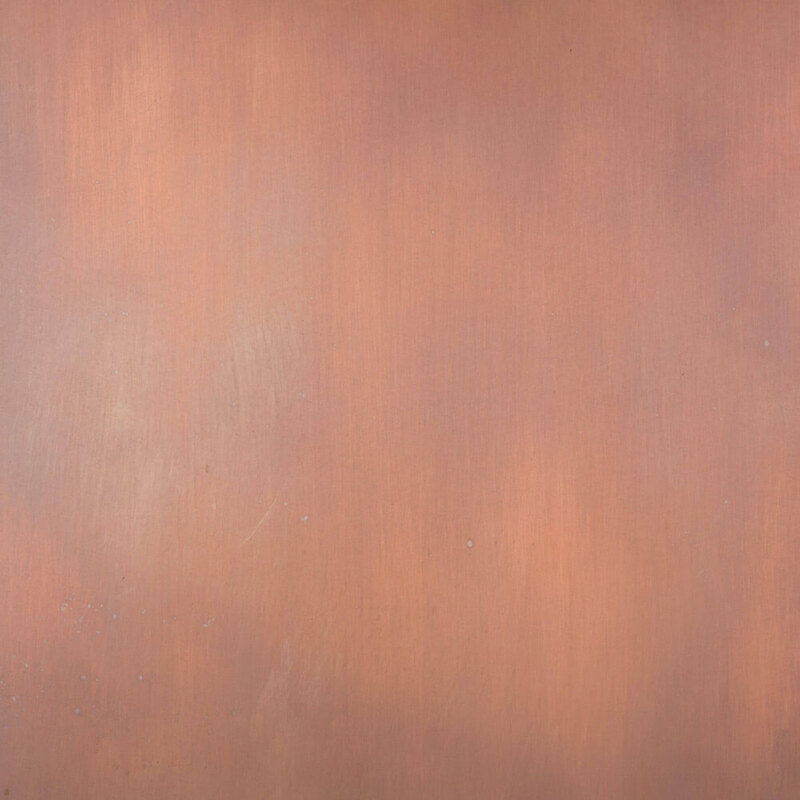 pure American copper in a smooth finish with a Light Brown patina. No lead, tin, or arsenic content is contained, like you will find in unregulated foreign copper products. Please call or email for custom ideas and quotes. 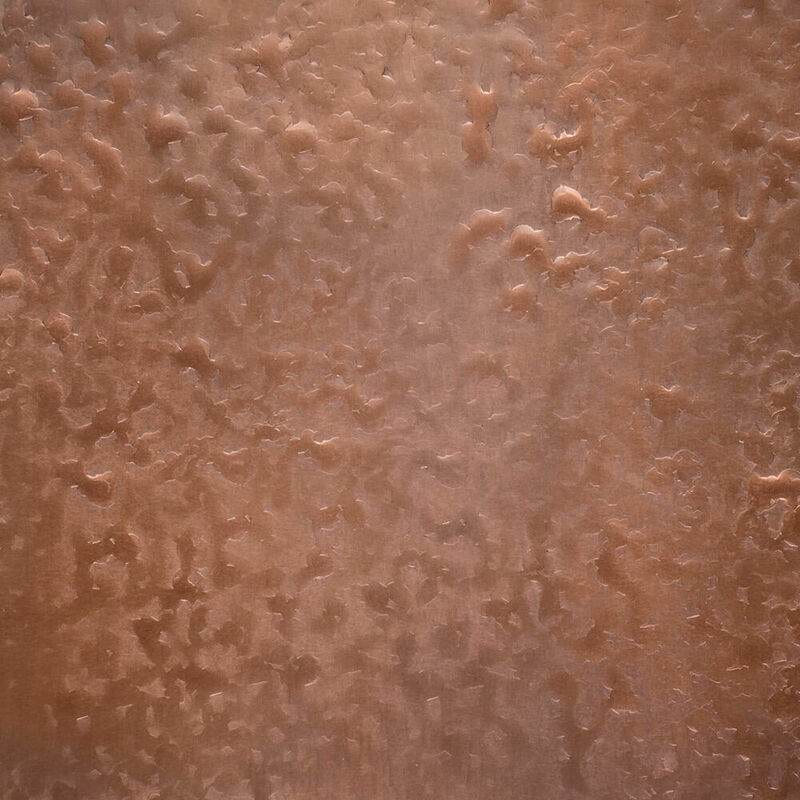 This copper range hood is more decorative than the first two pictures of this shape. The straps are thicker and have solid copper rivets. We also added the copper crown on top. The wood bottom was made by the client’s cabinet maker that they brought to us so that we could design and build around it. This was 60” wide, 22” deep and 36” tall. 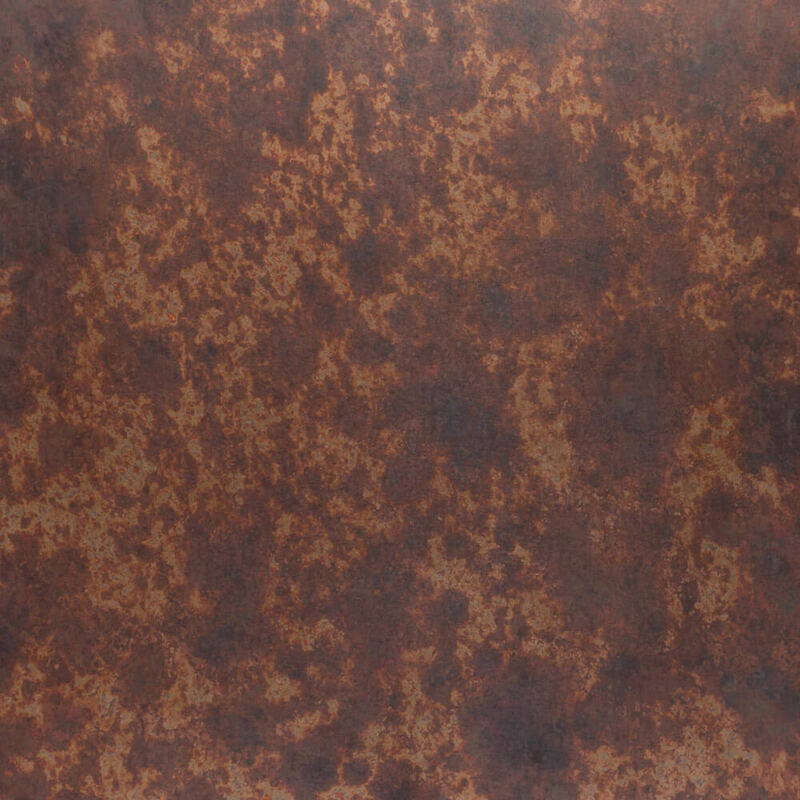 It is a smooth hood with a Reddish Brown patina and was made with 48 oz. copper. This range hood shows a smooth finish with a hammered trim. The customer sent a picture of a design they wanted to apply to the trim of the range hood and we were able to plasma cut and attach the design to the trim. This was 36” wide, 24” deep and 30” tall. It was finished with a Light Brown patina for the body and a Dark Brown patina for the trim. Made from 48 oz. copper.